I was recently asked: “What’s the one thing you would do, more than anything else, if you were going to focus on being healthy?” My recommendation is to focus on creating a healthier microbiome. All the little steps that are easy to implement will add up to having a robustly healthy microbiome. Nothing is more important to the function of your body. Nothing has more control. Nothing impacts more of your tissues and organs than the microbiota. It’s the big kahuna. Luckily, the microbiome can easily be rebalanced. 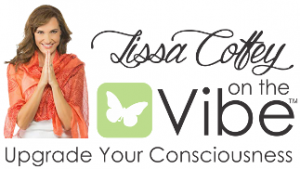 In just a day or two of changing your diet, you can begin to change and reduce dysbiosis. First, avoid the foods you may be sensitive to. When you have food sensitivities, the immune system responds with an inflammatory cascade in the gut. Every forkful can have a detrimental effect on your microbiome, even if you don’t feel bad as you eat it. The inflammatory cascade kills off the good bacteria, and pathogenic bacteria begin to prosper, creating an imbalanced environment in the gut. When you remove the foods that you are reacting to—beginning with gluten, dairy, and sugar—you can positively affect your microbiome. My Transition Protocol includes better food selection, probiotics, and prebiotics to help restore a healthy microbiome. The foods that support the microbiome are grouped into four categories. bles that are high in polyphenols have the same dark color throughout. While eggplants have a nice, dark skin, the flesh is white, so it isn’t a high polyphenol choice. A better choice would be dark, leafy greens like spinach or kale. You can add polyphenols into your diet every day in several ways including salads filled with greens and crunchy, colorful cruciferous vegetables. It is the insoluble fiber in these vegetables that the bacteria thrive on that promote being lean and healthy. Other foods high in polyphenols can be eaten every day, but in moderation, including fresh garlic, fresh raw almonds, and 70 percent or higher dark chocolate. Cocoa has been shown to influence the microbiome toward a more health-promoting profile by increasing the relative abundance of good bacteria. What’s more, chocolate is thought to modify intestinal immune status, lowering the expression of IgA antibodies. Choose the right carbohydrates. Avoid processed carbohydrates that feed bad bacteria—chips, French fries, breads, white rice, cookies, crackers, desserts, and sugars. These foods put your body in a chronically hungry, metabolically damaged, fat-storing mode. Eating them can increase your risk of intestinal permeability and may alter the makeup of your microbiome, upsetting the balance between “friendly” and unfriendly bacteria. However, eating good carbohydrates can actually reduce obesity by increasing beneficial bacteria. In 2006, microbiologist Liping Zhao, PhD, conducted an experiment on himself to replicate findings that showed a link between obesity and the microbiome in mice. At the time, Dr. Zhao was overweight and in poor health. He adopted a diet that included whole grains (brown rice) along with two traditional Chinese medicine foods: Chinese yams and bitter melon, both of which contain a particular type of indigestible carbohydrate (a prebiotic that encourages the development of one form of good bacteria, Faecalibacterium prausnitzii). He monitored his weight loss as well as his microbiome. Two years later, he had lost a total of 44 pounds by restoring his good bacteria. In a 2016 study from the Department of Twin Research and Genetic Epidemiology at King’s College, London, it was found that the bacteria produced by eating these same foods (Faecalibacterium) is significantly associated with reduced frailty. This is important, because frailty is a useful indicator of overall health deficit, describing a physiological loss of reserve capacity and reduced resistance to stress. Carbohydrates containing artificial sweeteners promote unhealthy gut bacteria that cause obesity. In one study, the sugar substitute saccharin was shown to alter the function of 115 different pathways in the gut because of the microbiome controlling glucose tolerance, leading to obesity. The bacteria that aid in the digestion of saccharin turn the switch on to store energy as body fat and alter the gut microbiome. Eat grass-fed red meat and healthy fats. When you eat healthy fats, including the fats found in avocados, olive oil, coconut oil, nuts, fish, free-range poultry, and grass-fed beef, there is no evidence of lipid raft transcytosis, which is responsible for moving LPS into the bloodstream. Eat one forkful of fermented foods every day. A hundred years ago, people thought yogurt was healthy for you but were not exactly sure why. We now know that it is because of the fermentation of the bacteria in milk: Every time you eat yogurt, you get a dose of good bacteria. However, because so many people have a dairy sensitivity and because the quality of most pasteurized yogurts found at the grocer is so poor and low in beneficial bacteria by the time it reaches your table, we are going to focus on eating fermented vegetables and drinks like kefir (a cultured/fermented milk), KeVita (a cultured/fermented coconut water), and kombucha (a fermented tea) to encourage the growth of good bacteria in your gut. Fermented foods are those that grow bacteria in them or on them. They are some of the best detoxifying agents available. The beneficial bacteria in these foods are capable of drawing out a wide range of toxins and heavy metals. They can contain 100 times more probiotics than a supplement. Every day, you need to eat just a little bit, such as one forkful of fermented foods like sauerkraut and kimchi, both made from cabbage. You can purchase fermented vegetables or follow the recipes in Chapter 10 to make your own. If you find that you have a little gas or bloating after eating fermented vegetables, it is a biomarker of dysbiosis (abnormal gut bacteria in high concentration). It doesn’t mean the fermented foods are bad for you; it means your threshold for digesting them is very low. So reduce your dosage: Try a tablespoon of sauerkraut juice on your salad with your normal salad dressing so that the taste isn’t so strong. Next week, try 2 tablespoons per day. This is an example of transitioning—you are taking an accurate evaluation of where you body is currently functioning and moving it in the direction of better functioning. For a healthy microbiome, probiotics need to be the majority of all your gut bacteria. There are thousands of different types of probiotics, and each is defined by its genus (for example, Lactobacillus), by its species (such as rhamnosus), and by its strain designation (often a combination of letters or numbers). The concept of a bacterial “strain” is similar to the breed of a dog—all dogs are the same genus and species, but different breeds of dogs have different attributes, and different breeds are good for different tasks. The use of probiotic supplements is still in its infancy. We really don’t know exactly how to use them to create a healthier microbiome. We do know that they work to balance immune function and decreasing inflammation by helping you maintain a healthy environment in the gut. They are available as nutritional supplements that increase beneficial bacteria in the gut and crowd out bad bacteria. They can also heal intestinal permeability. Different strains of even the same species of probiotics can vary in their specific bacteria. Probiotics are most effective when they are combined with a high-fiber diet that features lots of vegetables every day. Vegetable fiber is critical for creating butyrate, which, is the fuel for the fastest-growing cells in the body: the inside lining of the intestines. This is a critical concept and the reason why I don’t encourage fiber supplements, because I have never found a study where fiber supplements increase butyrate levels. The right fiber acts as a fertilizer that helps the probiotic grow and proliferate good bacteria in your microbiome. And because probiotics interact with the digestive system, each strain performs differently depending on your gut’s unique environment. This means that one type of probiotic doesn’t work the same for everybody. To find the supplement that will work best for you, choose a broad- spectrum, high-potency probiotic. “Broad spectrum” means that it contains more than one strain of probiotics. Prebiotics: Even the best of dietary intentions can cause problems. A gluten-free diet may actually contribute to dysbiosis. When you follow a gluten-free diet, you remove many of the carbohydrates necessary to feed good bacteria. Gluten-free foods are not known to contain healthy prebiotics. You are in effect starving your own bacteria unless you replace the gluten with prebiotics. Prebiotics are food components that cannot be digested by the body but are consumed by the beneficial bacteria to help them function. Chocolate or cocoa is considered a prebiotic that is also rich in polyphenols. Eat a little dark chocolate every day to increase your intake of polyphenols and prebiotics. Take a square of the very best dark chocolate (at least 70 percent cacao) that you can get and put it on or under your tongue. Don’t let it touch your teeth. Let it sit there without chewing, so that it slowly dissolves in your mouth. In this way, you saturate your taste buds to send the message “chocolate is here” to your brain via the oral thalamic tract that leads from the mouth right up to the brain. Chocolate stimulates the production of endorphins and enkephalins, which are 200 times more powerful than morphine in how they stimulate the feel-good sensors in your brain. If you eat that one square of chocolate every day and let it melt in your mouth for about 2 minutes, you’ll most likely feel very satisfied. If you want more, go ahead and have another piece. I’ve never ever, ever had a patient want more than two squares if they follow this method. This way, you can have dark chocolate every day and not gain weight or throw your blood sugar out of balance. Tom O’Bryan, DC, CCN, DACBN, is a world-renown expert in the field of Gluten-Related Disorders, chronic disease and metabolic disorders. 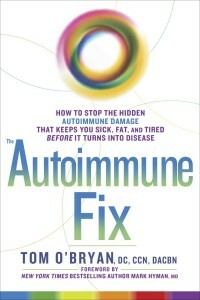 Author of The Autoimmune Fix, he lectures to healthcare professionals and the public about celiac disease and Non-Celiac Gluten Sensitivity worldwide. 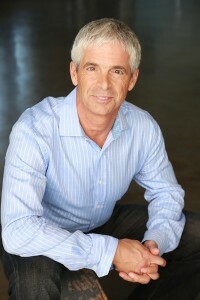 Dr. O’Bryan has more than 30 years of experience as a functional medicine practitioner and he serves on the faculty of the Institute of Functional Medicine. His site seeks to inform and empower those with Gluten-Related Disorders and their families. He offers a Certified Gluten Practitioner course and certification to healthcare professionals looking for a revolutionary way to diagnose, treat, and educate patients about Gluten-Related Disorders. He recently put together and hosted Betrayal, a 7-part documentary series about Autoimmune disease featuring 85 leading experts around the world. In 2013, Dr. O’Bryan hosted the world’s first Gluten Summit, where he interviewed 29 experts and opinion leaders on the topic of gluten-related health issues. It serves as the premier educational forum for the public and healthcare professionals on the topic of immune reaction to gluten and health.